The movement practice buffet is juicy these days. More and more seekers explore and find their way to a practice that fills their needs. And that is a good thing. Many people come to the mat or dance floor for exercise or stress relief or social/community benefits. For me, top of the list, no question…it’s about the practice itself. And in my humble opinion, it’s a worthy movement practice when the body is in motion AND there is intention and encouragement to stay witness-present AND there is just the right risk/safety ratio for the heart to breathe alive with curiosity. In a nutshell: body, heart, mind all get a workout. When we find a practice that provides the right combo of intriguing challenge and gentle support in all three arenas, we can move toward integration. Since we come from a wide array of background and experience, what we need from any given practice is different than what the person moving right next to us needs. The best movement practices are one-size-fits-all, designed so that in our uniquely human way we can enliven the area—body, heart, mind—that is most in need. I see the body piece so clearly in one-on-one work. There’s this magic moment in treatment when I ask someone if they can feel what I feel with my hands. Can you feel how this is tighter on the right than the left? Or when you lift one foot vs. the other, can you discern which is weak or feels funky? Or just observing the way someone takes on an unfamiliar skill or rises from the floor. 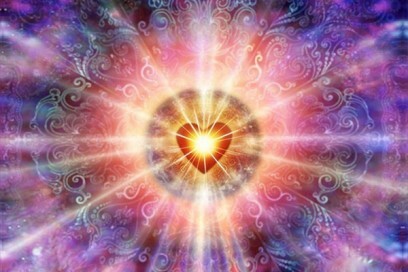 Some of us are heart-mind alive: emotional floodplains, hearts overflowing capacity, very mindfully conscious. At the same time, we can be literally cut off from our bodies: clueless of where body is in space, unable to name arising physical sensation, unable to sense glaring asymmetry. Embodied patients show up all the time but this person comes to treatment and also shows up in movement practice to deepen their experience of living in a human body. Then there’s my own personal experience. Born into embodiment, I was naturally drawn to body-focused practice—dance forms, rehab inspired physical conditioning, weight training. All of this took great mental focus regularly bolstered by long term seated meditation practice. Yoga, especially in the last two decades, has been an awesome opportunity to integrate body-mind connection more deeply. Hello? Is the missing piece obvious? Well it wasn’t to me. It wasn’t until I dropped into 5Rhythms practice that the light went on. 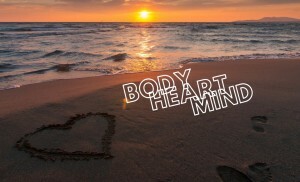 All this body-mind practice, awesome as it was, actually contributed to keeping my heart in check. The “right risk/safety ratio for the heart to breathe alive with curiosity” was not included. Well, there was counseling-on-the-couch, mind and heart endlessly looping in ways that never actually resulted in behavior change. Ever grateful for the magical opportunity and expert support I received over many dance practice hours. This movement medicine keeps nipping at my heart and continues to bring the holy trio into closer alignment. I guess we’re talking “types” here, which is always pigeon hole dangerous. But if we continue in this vein and complete the trilogy…we all know a version of “need to boost the mindful piece” person. Actively embodied, always on the move, big-hearted to a fault….and too often pretty unconscious—of themselves and those around them. Utterly lacking in focus, self-aware challenged. You might think that seated meditation would bring it together for this person. But if you’re on board with the logic so far, you’d think differently. 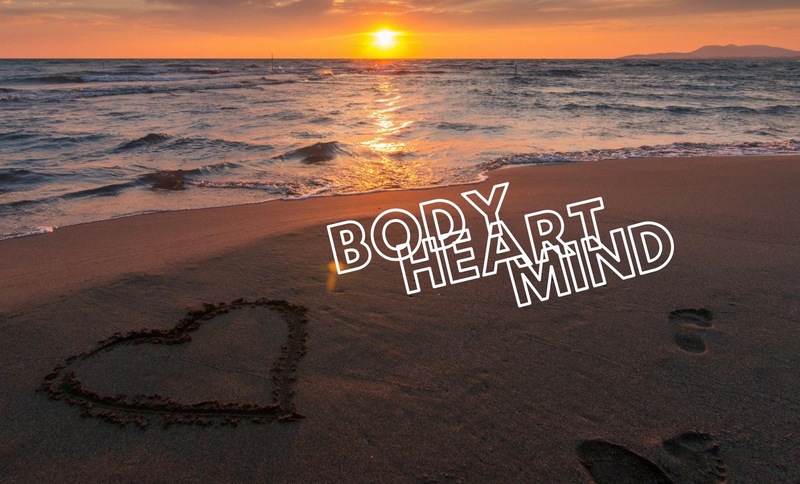 Capitalizing on the body-heart skills already present, a heart-full, moving meditation might be the better choice to support a natural path toward integrity. Though we may not have words for it, we’re all seeking pretty much the same thing. 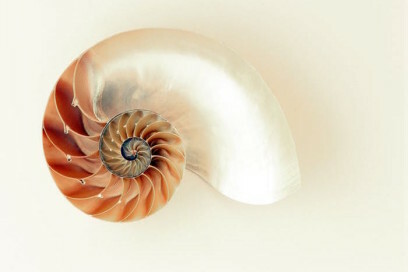 We long to experience our instinctual and sensuous animal body naturally moving through the world. We want to be intimate with our own feelings, have satisfying connection with others, love and be loved. In a world of distraction, we crave presence of mind, the skill to be a good-humored witness to our own shenanigans and the sensitivity to capture and appreciate the quiet pauses that pepper our lives. And it doesn’t end there. As we move into alignment we come in touch with the bigger picture, loves. Who doesn’t yearn for a soulful existence during this brief go round? And so many of us sense divinity via elusive glimpses. An integrative practice moves us toward spending more of our finite time in the infinite realm where a living breathing timeless spirit unifies all things. Thomas Merton said “If man is to live, he must be all alive, body, soul, mind, heart, spirit.” Why settle for less? So this is an invitation to explore and not be satisfied until you find that one-size-fits-all practice. Then there is only one more thing to do. Show up.